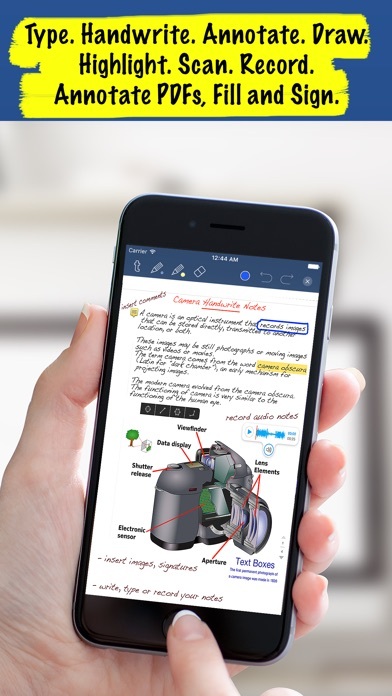 NOTE: This version of Notes Writer is for iOS 9 & iOS 10 users. If you are using iOS 11 or greater then download our new "Notes Writer Pro" app instead of this one. Thanks! 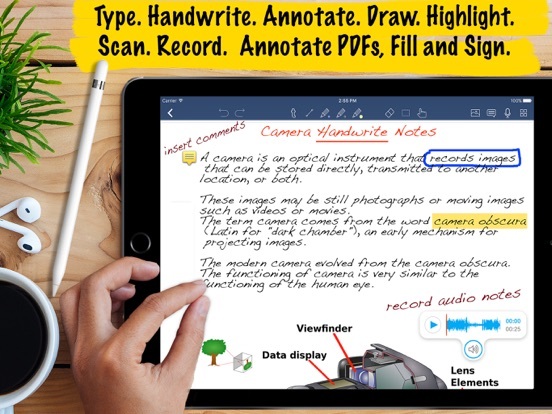 Type, handwrite, annotate, draw, highlight, scan & record notes and documents. 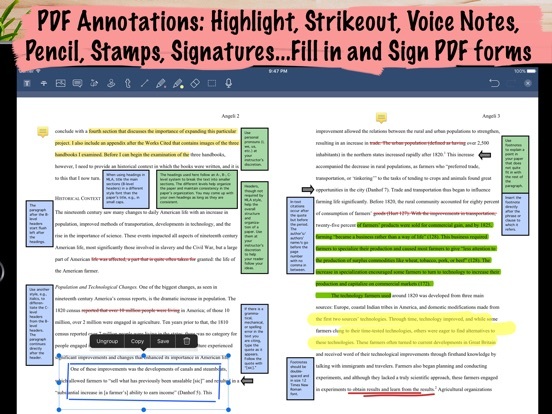 Annotate PDFs, fill forms and sign documents. 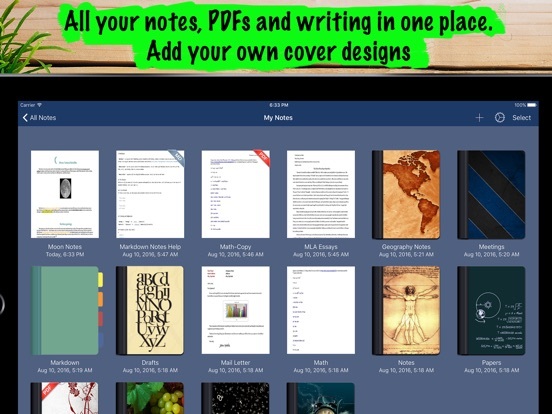 Create your Notebooks (binders) & tree-like projects. The way you like. 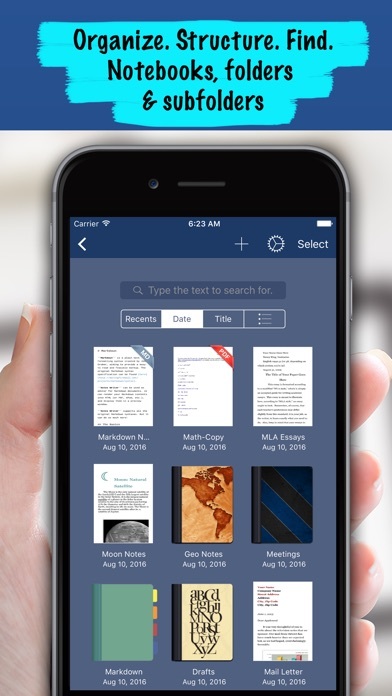 Business professionals, students, teachers, writers, doctors, journalists, academics and more use Notes Writer+ daily to store notes, annotations, memos, signed PDFs, papers, highlighted PDF text-books, recorded lectures and more. 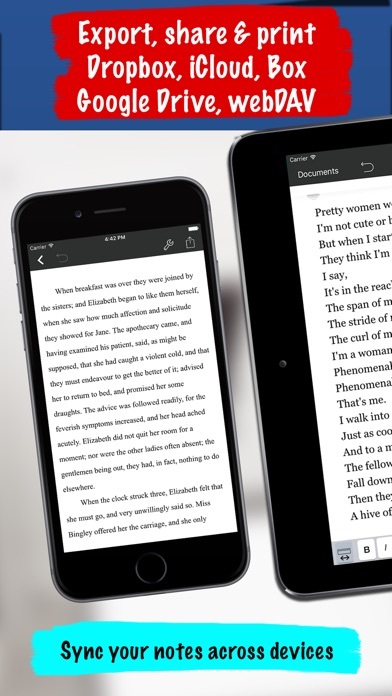 · Now enhanced for the Apple Pencil and wireless keyboards like Smart Keyboard for iPad Pro. · Insert special symbols arrows, maths, bullets/stars, GPS location, etc. · Extra keys: tab, forward delete, cursor up/down/left/right, etc. 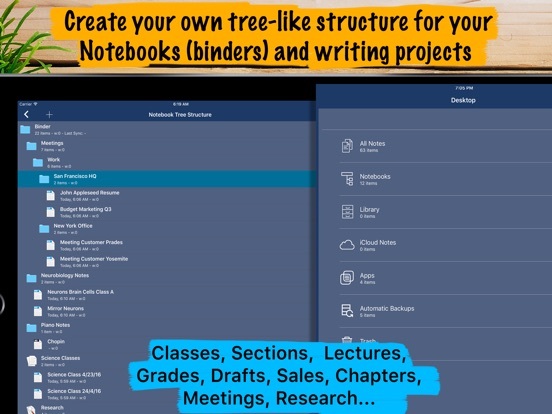 · Create notebooks and projects in your own tree-like structure: Sections, Classes, Lectures, Grades, Drafts, Folders, Chapters, Research, etc. 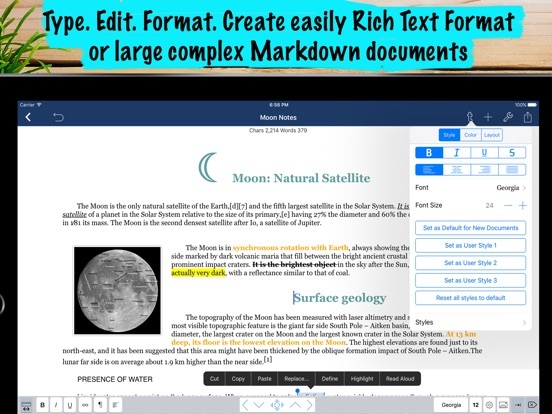 · Full PDF reader and manager included for reference files, text books, ebooks, articles, resources, papers, etc. 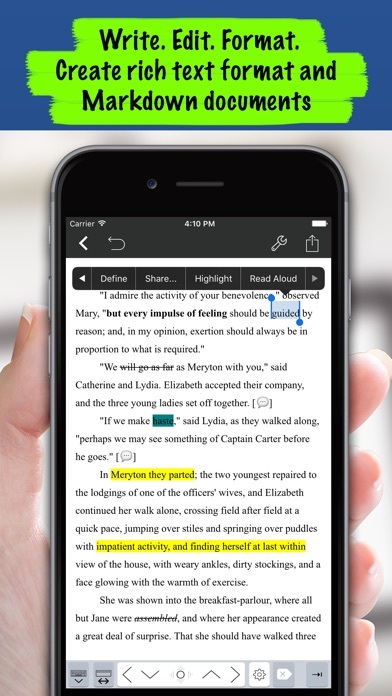 · Convert to multiple formats RTF, Markdown, PDF, ePub, HTML, RTFD, TXT, etc. · Calendar: Full calendar with events and alerts for your writer appointments, reminders, deadlines, etc. · Font Book: Preview all the fonts and install new ones (TrueType). Over 120 high quality fonts included! NOTE: This is a legacy version of Notes Writer for iOS 9 & 10 users. 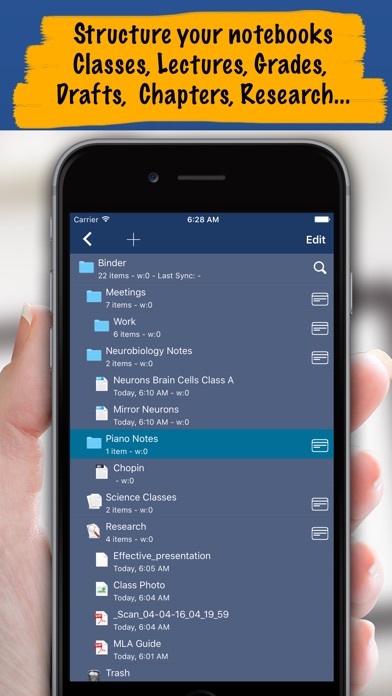 If you are using iOS 11 or iOS 12 then download our new "Notes Writer Pro" app instead of this one. Thanks!